Find out how you can really use green in your garden. 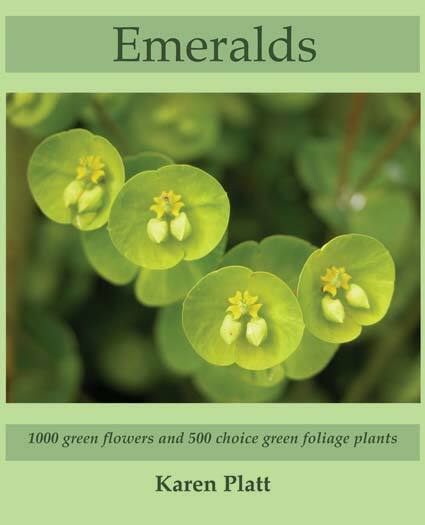 Read Emeralds to discover over 1000 green flowers and a selection of 500 choice green foliage plants and how to grow them. Over 300 colour photos, 10 design ideas, companion plants and suppliers around the world. Green is taken for granted, but this book shows you how to use it to its best advantage. Use this cool colour in the tranquil garden. Create peaceful surroundings in which to relax. Green lends itself admirably to all types of gardens. It blends superbly with every colour of the spectrum.